Look out, Amazon – you are not the only drone in town any more. There is a new delivery drone being flown by Google. 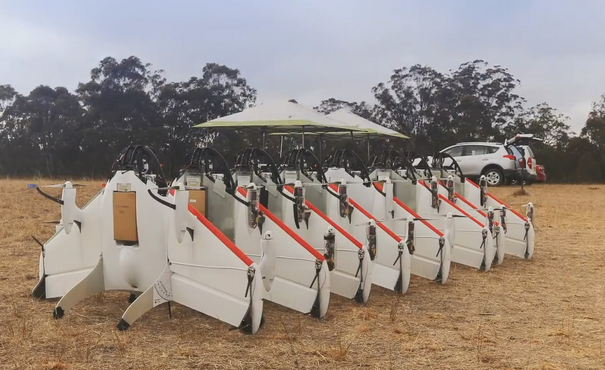 Tested this summer in Australia, Google’s program, named “Project Wing,” is the result of two years of research and development to design a delivery product. The result is small, unmanned, drone aircrafts that look like – and act like – a cross between a helicopter and an airplane. Google tried various design approaches including a parachute for package delivery and a missile-like delivery (shooting the package downwards). They also tried to actual land the drone with package, but decided it could create problems if people (or pets) got too close to the drone and might lose a finger while trying to retrieve the package! The final prototype uses a type of filament to lower the package to customers from a drone kept at roughly 150 feet above ground. Discuss distribution channels and supply chain. What are the elements involved, costs, etc.? Discuss the video: implications, risks, issues, benefits, etc. Divide students into teams. Have each team select a product that might qualify for delivery via drone and draw a diagram of a possible distribution model both with and without drones. Debrief the exercise by having students share their models and discuss the pros/cons.